Are you afraid to talk to guests because you think your English is to limited? 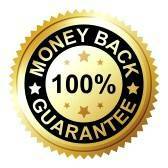 Would you like to improve you job opportunities and make more money? Then English for Hotel Staff is just what you need! Start improving your English today! 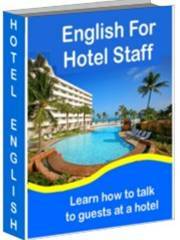 English for Hotel Staff contains hundreds of common English expressions, hotel vocabulary and hotel functions that are used daily by hotel staff. Functions are simply specific situations or circumstances that speakers may face when interacting with others- such as greetings, asking for an order, or giving directions. Functions offer students set sentence and grammatical structures, phrases, and vocabulary to use that are specific to the different functions. Different jobs at a hotel may use different kinds of English functions while performing their duties. Restaurant staff will take an order or may have to describe a dish, housekeeping staff may have to respond to complaints or fulfill a guest’s requests, and front desk staff may need to solve a problem during check out or give directions to a guest. Each of these situations uses slightly different functions and vocabulary- and English for Hotel Staff covers them all. Some of the functions covered include- Greeting Guests, Problems and Complaints, Offering Help, Giving Directions and much more. Because they allow you to learn usable English that can be applied immediately when interacting with guests. Functions can be easily adapted to cover any number of situations that you may encounter. Also included in the purchase is the English for Hotel Staff Work Book. This booklet contains worksheets that allow you to test your knowledge of the materials covered.